Its nice to be back to blogging after a month. We start with Sunday Reads. 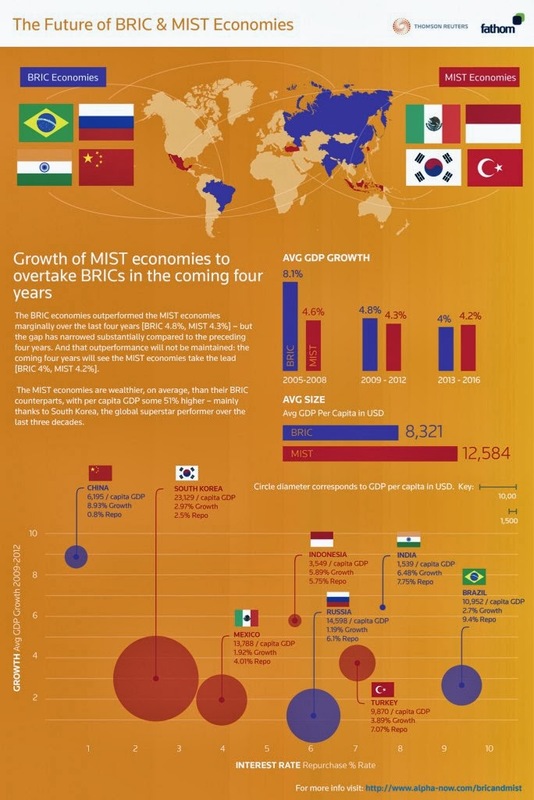 BRIC stands for Brazil, Russia, India, and China while MIST stands for Mexico, Indonesia, South Korea, and Turkey. Here's a comparison between the two emerging groups, from Reuters.